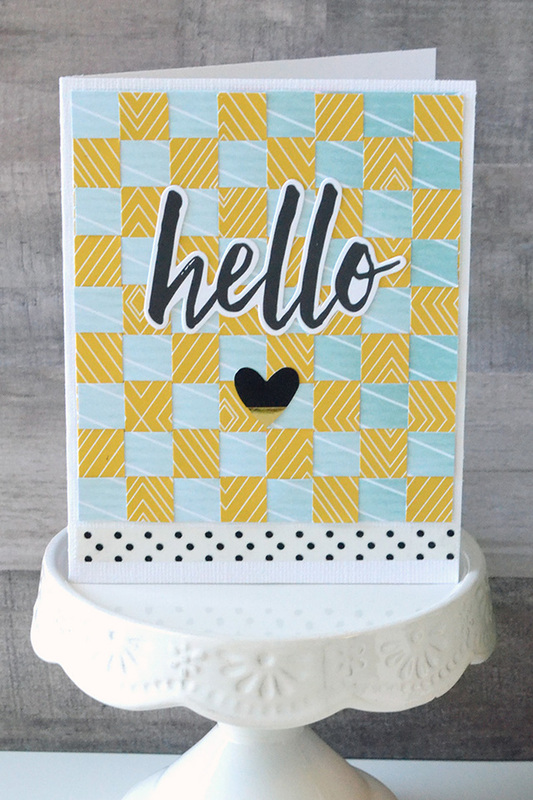 I recently shared another Tools Today post on the Scrapbook & Cards Today blog. I love the chance to share my favorite tools with the readers. I introduced the SCT fans to a game-changing tool that is super versatile and will save you some crafting time as well. 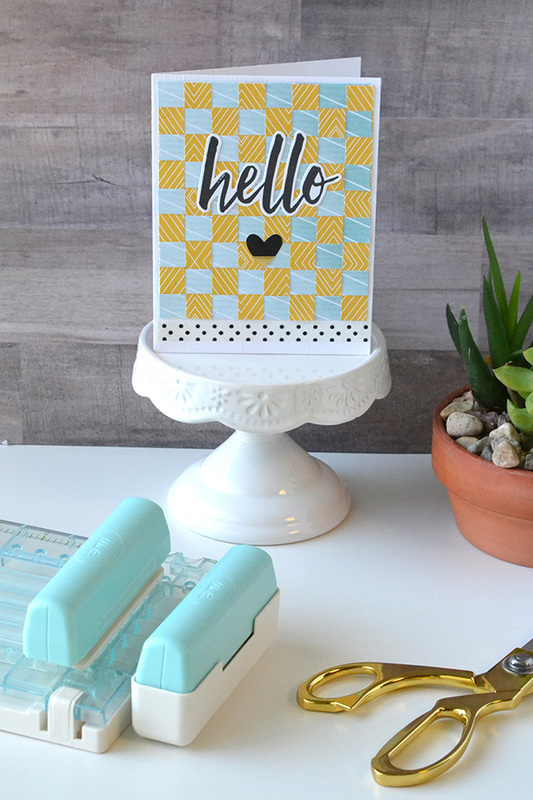 Say "hi" to the Fringe and Score Board from We R Memory Keepers! 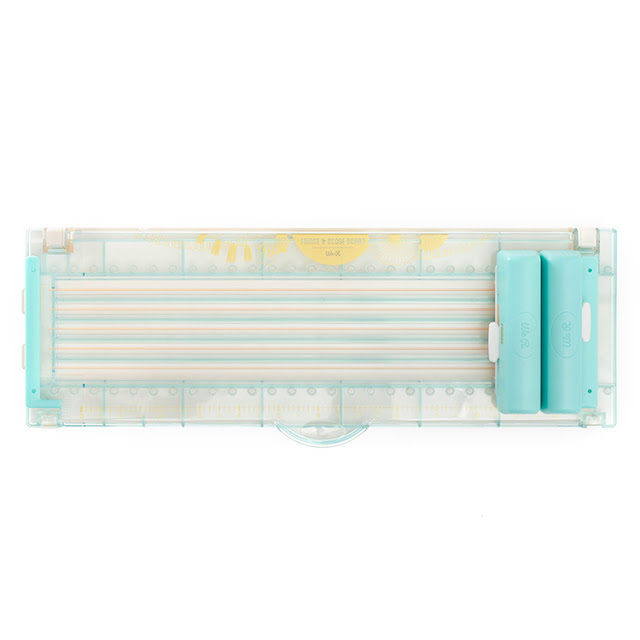 With this handy tool you can cut or score multiple lines at one time in ½ inch or 1 inch widths. This tool is perfect for making paper rosettes, fringe, tassels, or simply for cutting paper strips. It’s great for party decor, but you can also use it for making cards, scrapbook pages, and other paper crafts as well. 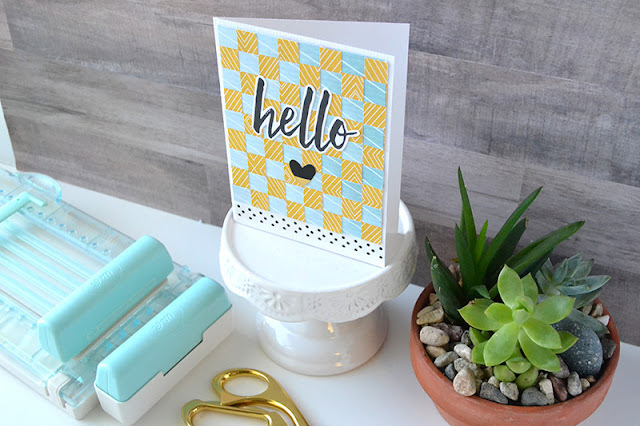 I made a video tutorial showing all the awesome features of the Fringe and Score Board, as well as how I used it to make the woven paper background for this card. 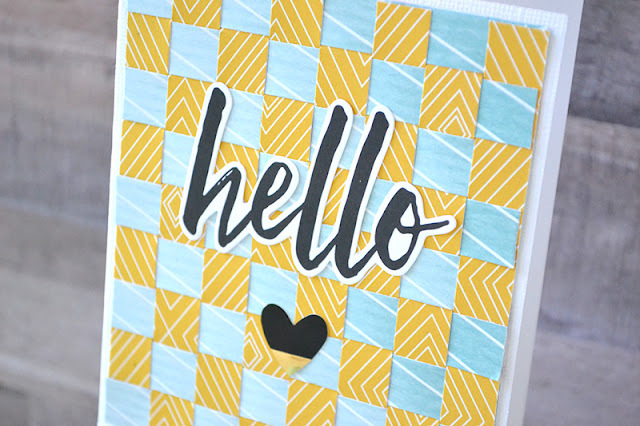 CLICK HERE to go to the original post on the Scrapbook and Cards Today blog if you'd like to watch! Thanks so much for letting me share one of my favorite new tools with you. It’s so versatile and handy--definitely a great investment for any crafter, and such a time-saver. Happy Crafting!